Hello, my only advice is to boil your shell’s ! I’m a crafter that uses ALOT of shells in my work, I BOILTHE SHELLS FOR 1/2 an hour, this kills off any bacteria,etc you can soak them in bleach before boiling…that will leave all your shells beautiful & clean and critter FREE ! 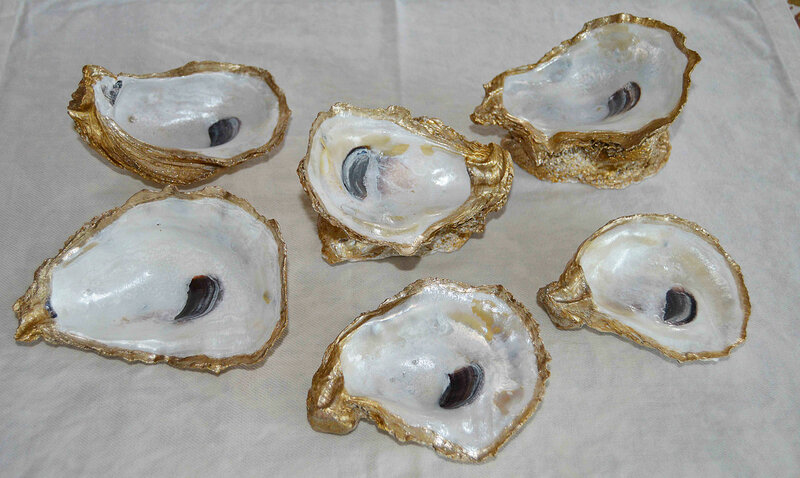 Love your idea of just flipping over another Oyster shell to make the base for the other, great idea for a jewelry holder or a soap dish too!